Illinois State University Associate Professor of Music Carl Schimmel has been named a 2018 Guggenheim Fellow. The fellowship, awarded by the John Simon Guggenheim Memorial Foundation, will support Schimmel’s work in musical composition. The Foundation recently awarded 173 Guggenheim Fellowships to a diverse group of scholars, artists, and scientists. Appointed on the basis of prior achievement and exceptional promise, the successful candidates were chosen from a group of almost 3,000 applicants in the Foundation’s 94th competition. During his fellowship, Schimmel plans to focus on exploring methods of expressing narrative in musical form. His projects include a new work for the Illinois Symphony Orchestra, to be premiered in April 2019; a string quartet for the Momenta Quartet; a bass clarinet and marimba duo for Transient Canvas; a set of piano etudes for such pianists as Winston Choi, Jason Hardink, and Marc Peloquin; and an electric guitar and saxophone duo for the Creviston-Fader Duo. The great variety of backgrounds, fields of study, and accomplishments of Guggenheim Fellows is one of the unique characteristics of the fellowship program. In all, 49 scholarly disciplines and artistic fields, 61 different academic institutions, 31 states, and three Canadian provinces are represented in this year’s class of Fellows, who range in age from 29 to 80. 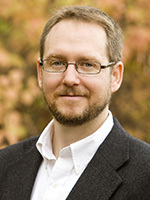 An associate professor of music theory and composition in Illinois State’s School of Music, Schimmel has also been the recipient of Columbia University’s Joseph Bearns Prize, the Lee Ettelson Award, and the 2017 Goddard Lieberson Fellowship from the American Academy of Arts and Letters. He has received performances from the American Composers Orchestra, the Minnesota Orchestra, the Buffalo Philharmonic Orchestra, the Mexico City Woodwind Quintet, and many others. Schimmel’s works have been performed in Carnegie Hall’s Weill Hall, Merkin Hall in New York, Severance Hall in Cleveland, the National Arts Centre in Ottawa, St. Martin-in-the-Fields in London, Orchestra Hall in Minneapolis, and other venues throughout North America, Europe, Australia, and Asia. Schimmel is a graduate of Duke University (Ph.D.), the Yale School of Music (master’s degree), and Case Western Reserve University (bachelor’s degrees in mathematics and music).